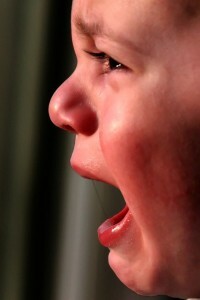 This Child’s Face Says What We Are All Feeling: Last Winter’s Mild Temperature Will Lead to Increase in Summer Pests. The winter months are over, but all the snow and rain we had in NJ means that you can expect to see a lot more bugs this summer. If you normally deal with mosquitoes and other pests during summer, their numbers might be even higher than usual. Having a lot of precipitation during winter brings bugs out in full force when spring and its warmer weather roll around. Spiders, mosquitoes, ticks and other bugs tend to thrive in these types of conditions. Ants are also around in abundance after a winter full of wet weather. Spiders and ants aren’t much of a problem as long as they stay outdoors, but they can be a big problem inside homes. Some spiders bite, while ants can get into food supplies and even chew on wiring inside walls. Mosquitoes and ticks are a problem whether they’re inside or outside. In most cases, you’ll find these biting pests outdoors. Mosquitoes and ticks can spread certain diseases, including Lyme disease and West Nile virus, so it’s best to hire NJ pest control services if you have a problem with them on your property. If mosquitoes or other bugs are giving you a problem this summer, our NJ pest control services can help. Give Allison Pest Control a call for more information on our services in Monmouth County and Ocean County. Dealing with itchy mosquito bites can make your summer miserable, but now there’s something else to worry about. The type of mosquitoes that can carry the Zika virus are found in a larger part of the US, including NJ. • Two mosquito species might be a Zika risk. One species, Aedes aegypti, is known to carry this virus from person to person. 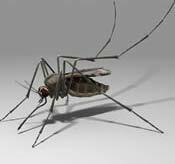 The other, known as the Asian tiger mosquito, might transmit it. Both species are found in NJ. • Zika season might extend beyond summer. The Zika virus isn’t just a concern for summer. Mosquitoes that carry this disease are expected to be active between June and October. • Zika can cause birth defects, making it a serious threat to pregnant women. The Zika virus is known to cause microcephaly, a severe form of brain damage that causes infants’ heads to be abnormally small. • Travel between Puerto Rico and NJ is expected to add to Zika concerns. Many people travel to and from Puerto Rico via NJ’s Newark Airport. Puerto Rico has been hit hard by the Zika virus, raising concerns that travelers could unknowingly spread the disease in NJ. If you have a mosquito problem, contact Allison Pest Control. Our NJ pest control experts can help reduce mosquito populations on your property. What Summer Pests Are Headed Our Way? While summer brings many things we love, like warm weather, family vacation and backyard barbecues, it also brings pests out of hibernation. The extreme winter weather we saw in the 2014-15 season may have slowed bugs down, according to entomologists, but they will be out in full force just in time to enjoy summer with us. The National Pest Management Association released their Bug Barometer in April. This separates the country into five regions and shows the pest population in each of these five regions. Using the Bug Barometer, the NPMA analyzes weather trends and predicts how the weather will affect the pest population. What can we expect this summer in the Northeast? Termite season is delayed because of the excess of cold, snow and deep ground freezing last winter. Wasp and bee queens are also affected by this. 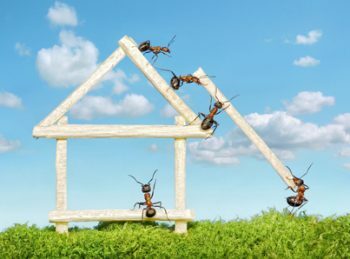 Carpenter ant activity has increased due to moist conditions caused by snow and water leaks from ice dams. Ticks also thrive in these conditions and are expected to increase, too. Extreme weather conditions, hot or cold, tend to drive pests in to your house, according to the NPMA. Read the full article to see the trends in other areas of the nation. If you have a problem with any kind of pest, call your New Jersey Pest Control experts today!